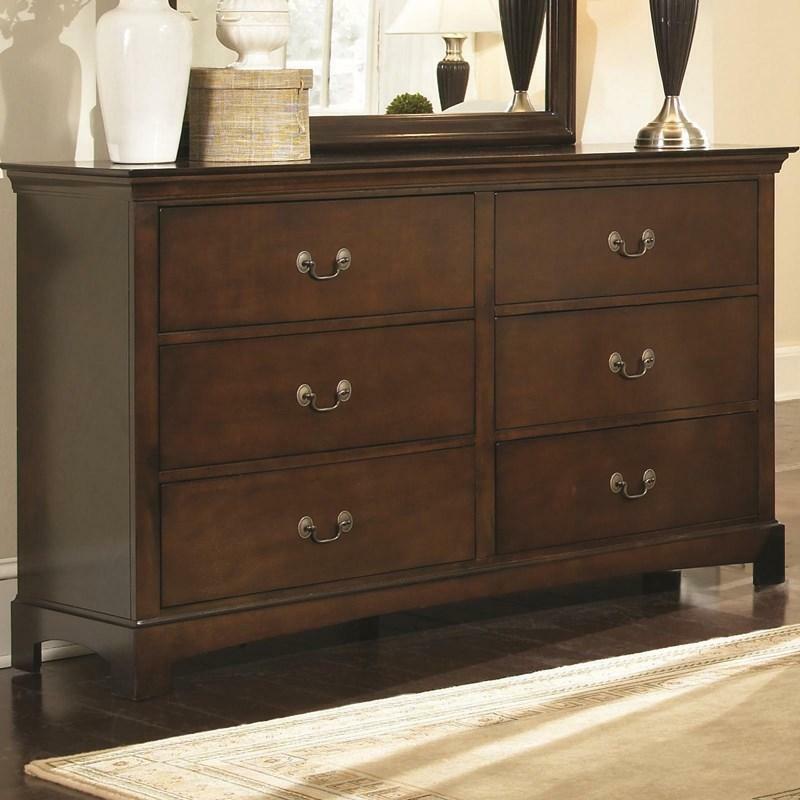 This beautiful Wheatland Drawer Chest comes in a two-tone finish: wire brush sage and antique gold. 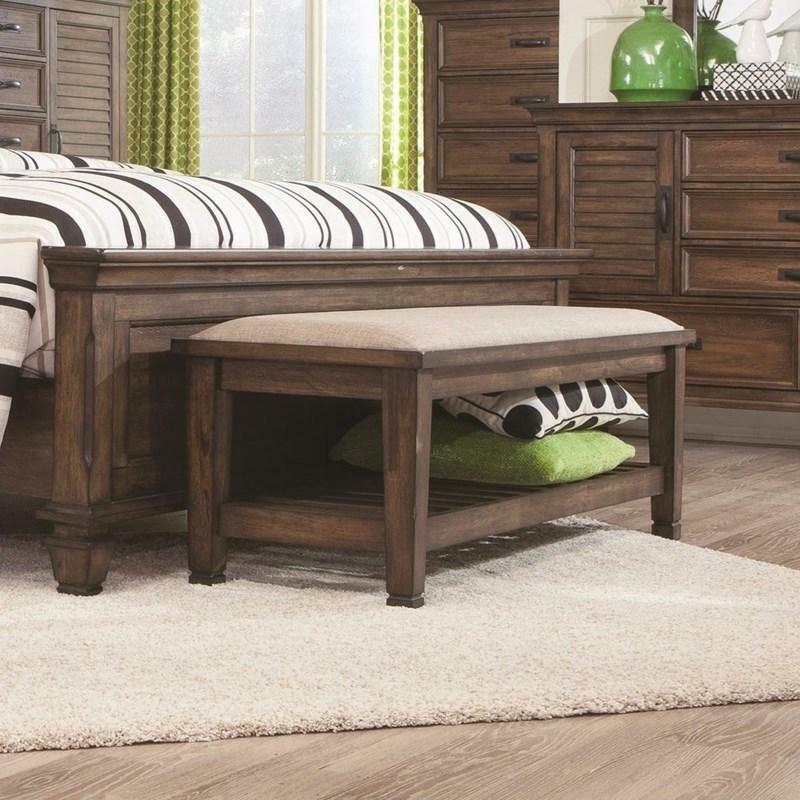 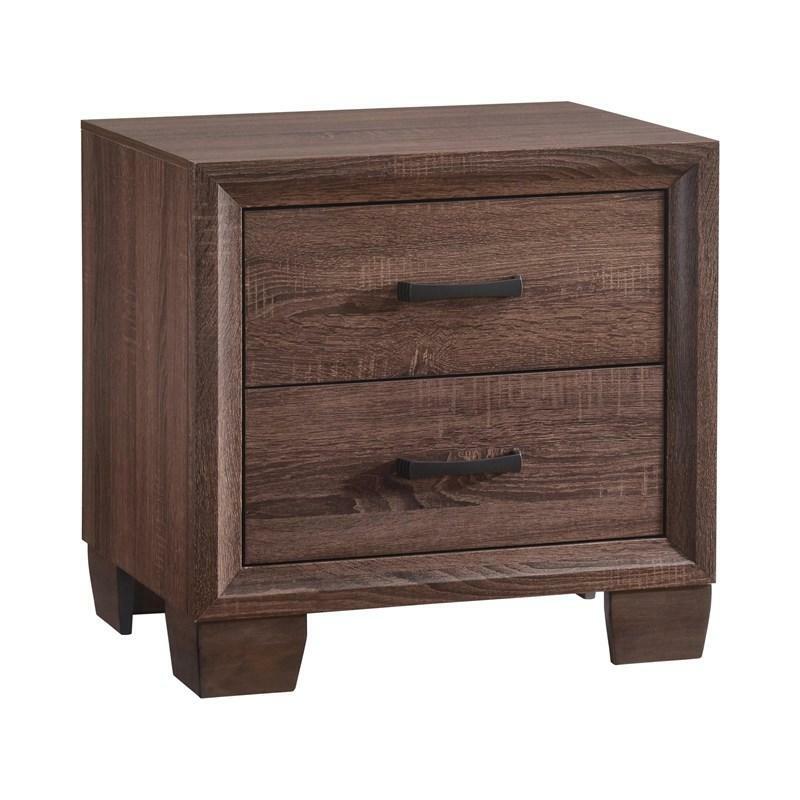 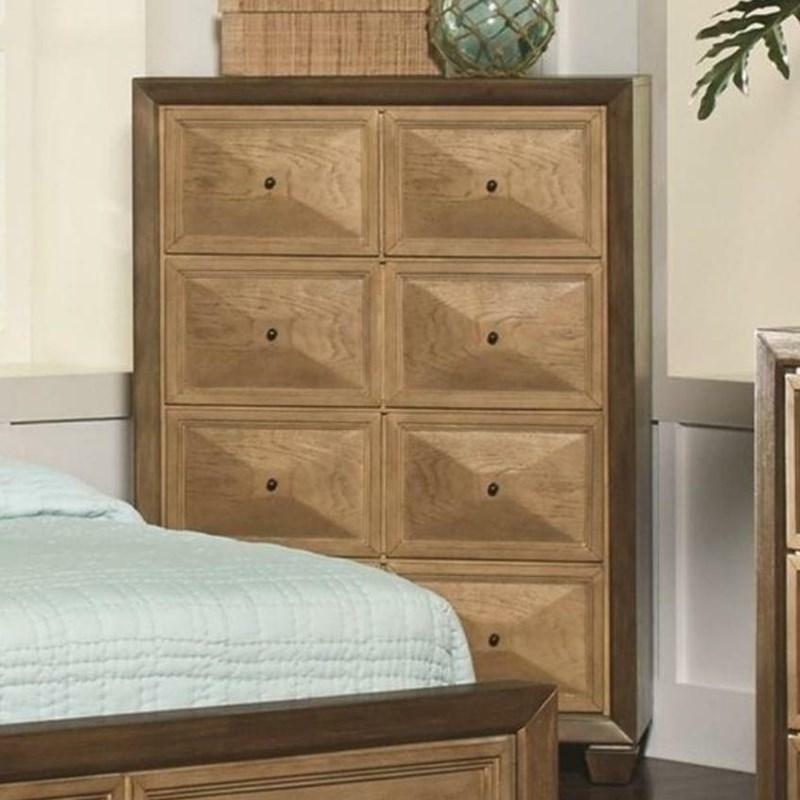 It features four storage drawers adorned with small metal knobs and stands on tapered feet. 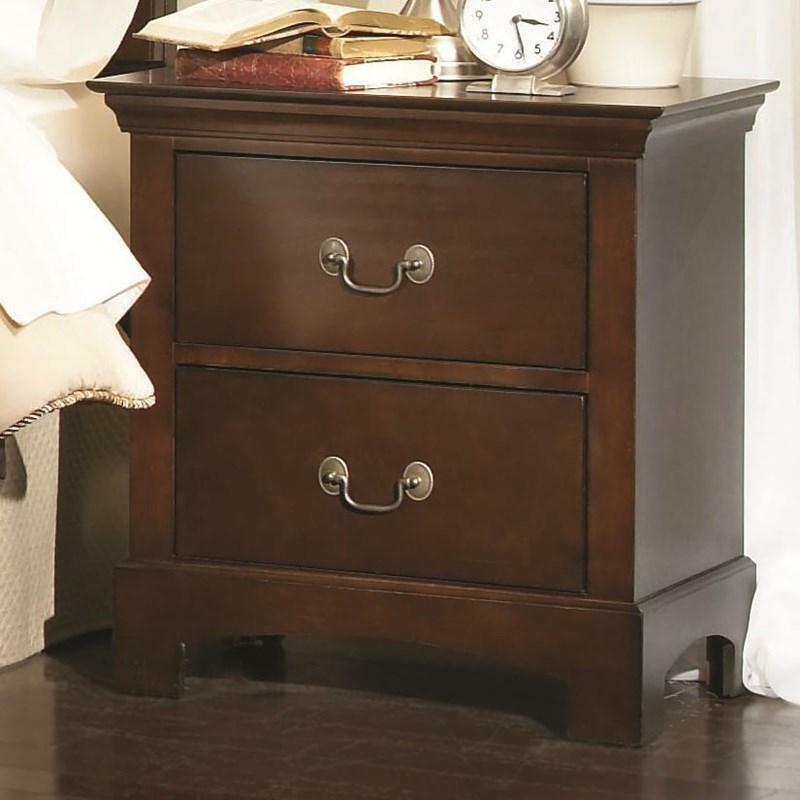 The Brandon Nightstand offers a transitional style that is well suited for any home. 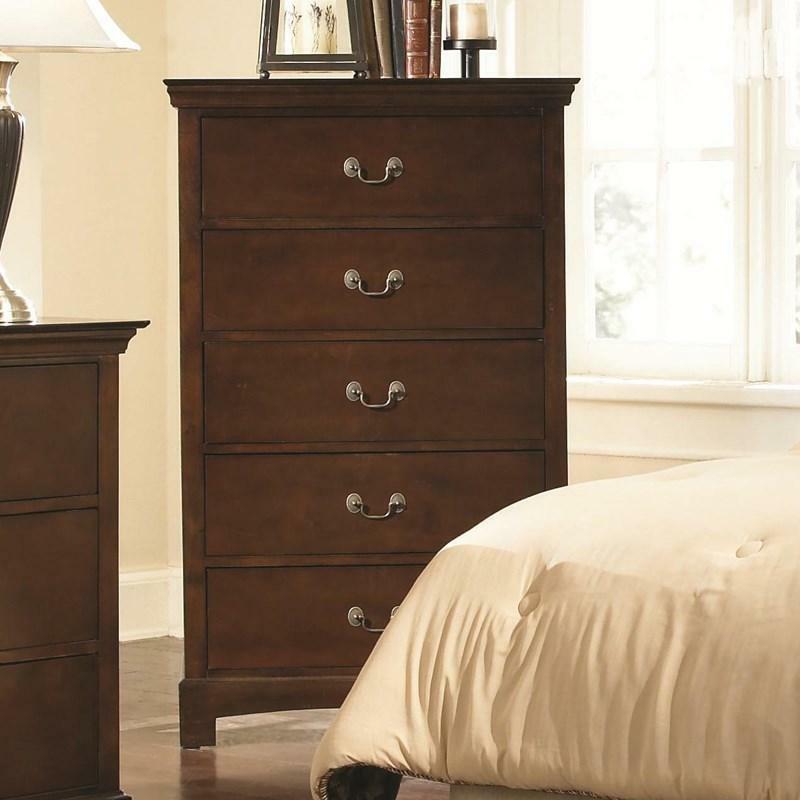 It has a medium warm brown finish over two drawers adorned with metal pull handles. 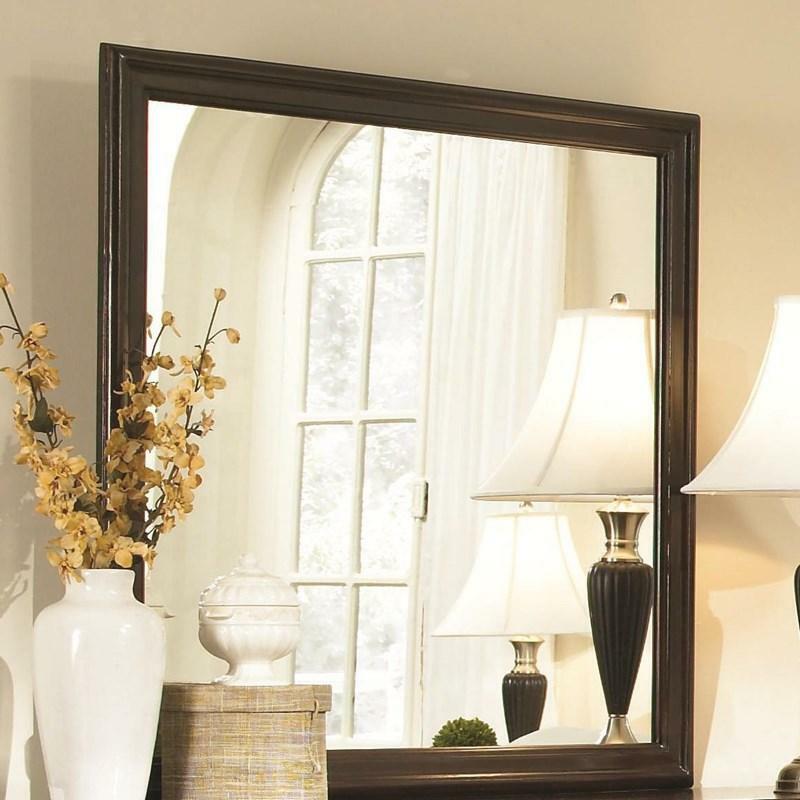 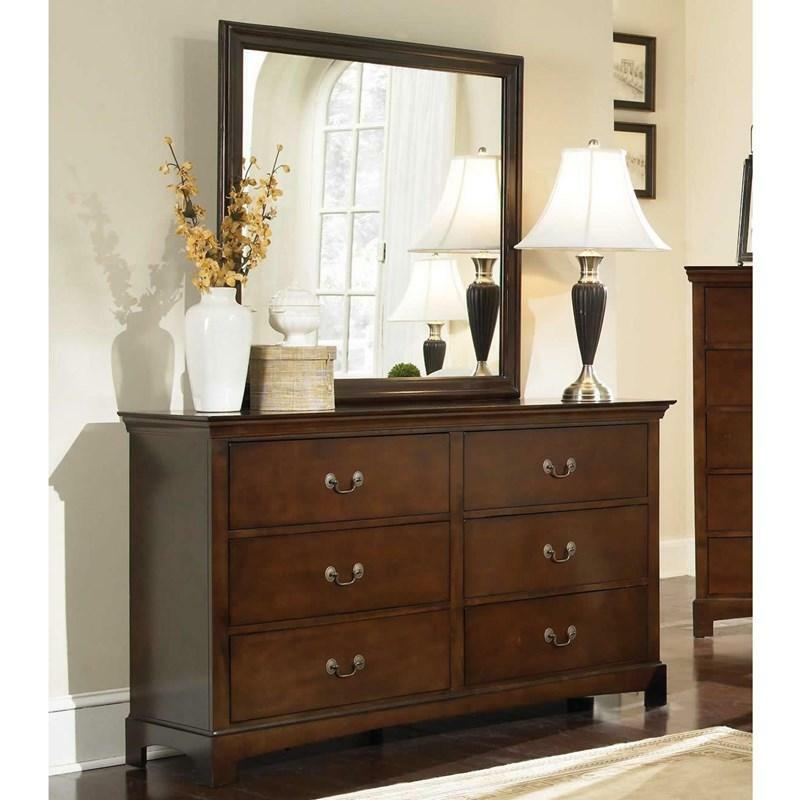 This Tatiana Dresser and Mirror by Coaster Furniture features a transitional style with clean shapes and beveled edges. 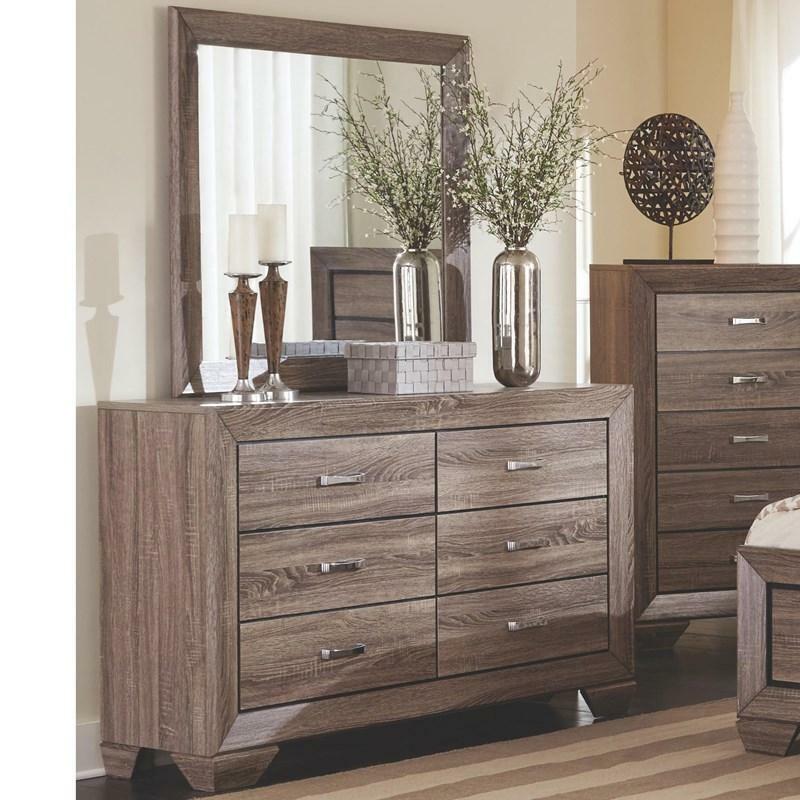 It is made of veneers and solid wood in a beautiful warm brown finish that will give your bedroom a nice look.